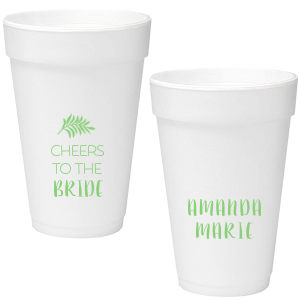 Sip your cold drinks in personalized style with For Your Party’s custom designed destination wedding 16 oz foam cups! 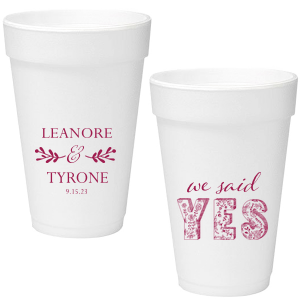 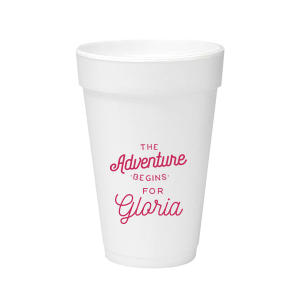 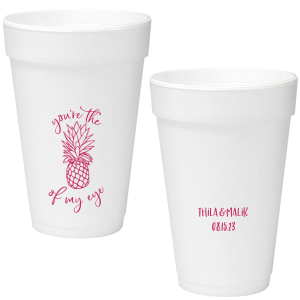 Let your creativity flow as you easily design your unique destination wedding 16 oz styrofoam cups! 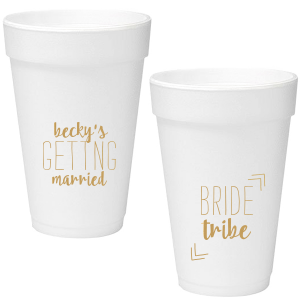 You’ve found the perfect location, now you need to perfect your personalized wedding supplies for your wedding getaway. 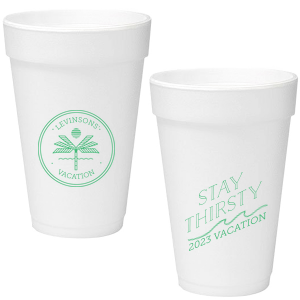 Serve your cold drinks in custom designed destination wedding 16 oz foam cups. 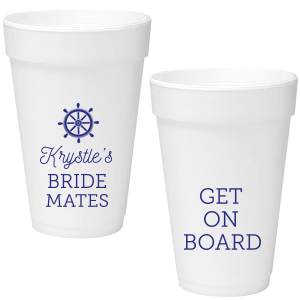 You’ll enjoy the creative process of designing your unique destination wedding 16 oz foam cups. 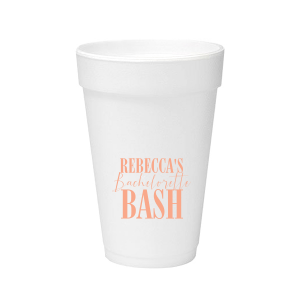 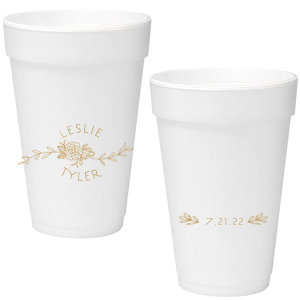 After you choose a screen printing color that coordinates with your wedding theme, browse our curated libraries of design ideas to find the look you want for your custom destination wedding styrofoam cups. 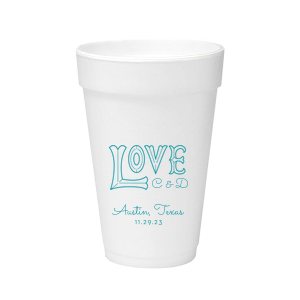 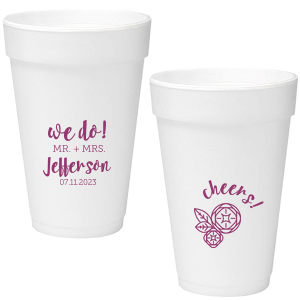 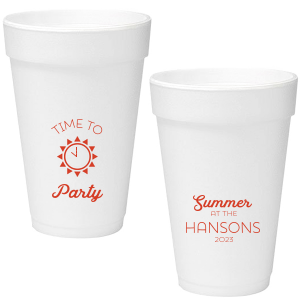 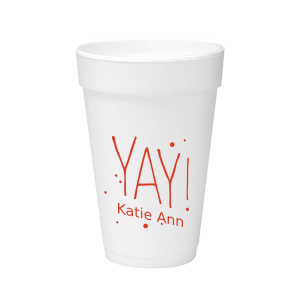 Personalize your destination wedding 16 oz foam cups on 2 sides for more creative freedom. 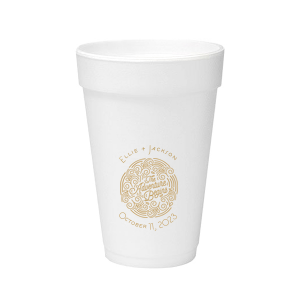 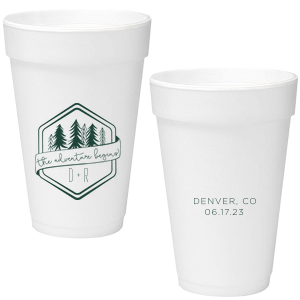 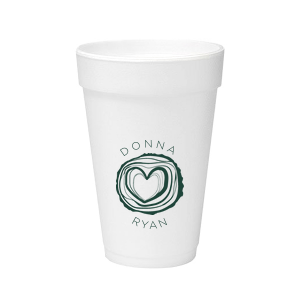 Concerned about the environment, your customized destination wedding 16 oz styrofoam cups are recyclable! 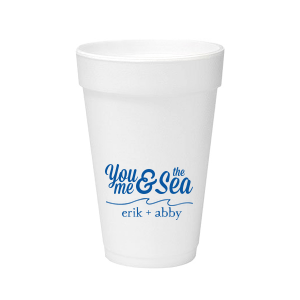 Design your personalized destination wedding 16 oz foam cups today!